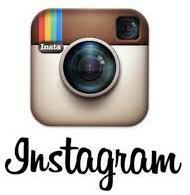 Feedback: 91 comments - leave yours! Scotland, a beautiful small European country, is blissfully free of ageing populations. The Scots die young and don't cling on their pensions for decades like Japanese centenaires, sucking the blood of younger generations. What's their secret? The Scottish Diet, an age-old combination low in fresh fruits and vegetables and high in confectionery, fat enriched meat products, sweet and salty snacks accompanied by generous amounts of sugary drinks and alcohol. The golden rule of the Scottish diet is that fat, sugar and alcohol should each account for at least 30% of your daily calorie intake. You may eat one serving of fruits per week, preferably as jams or preserves. 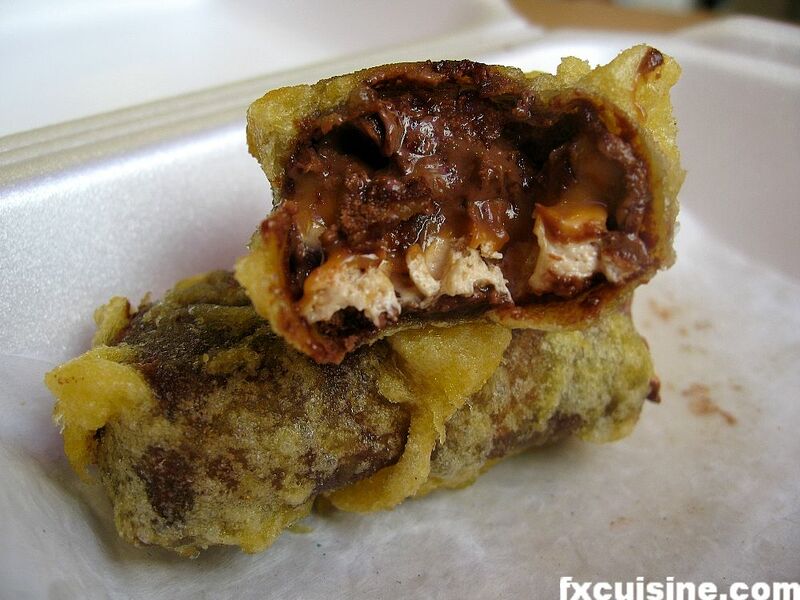 One of the best example of this wonderfully nutritious diet is Scotland's National Dish, the deep-fried Mars bar. 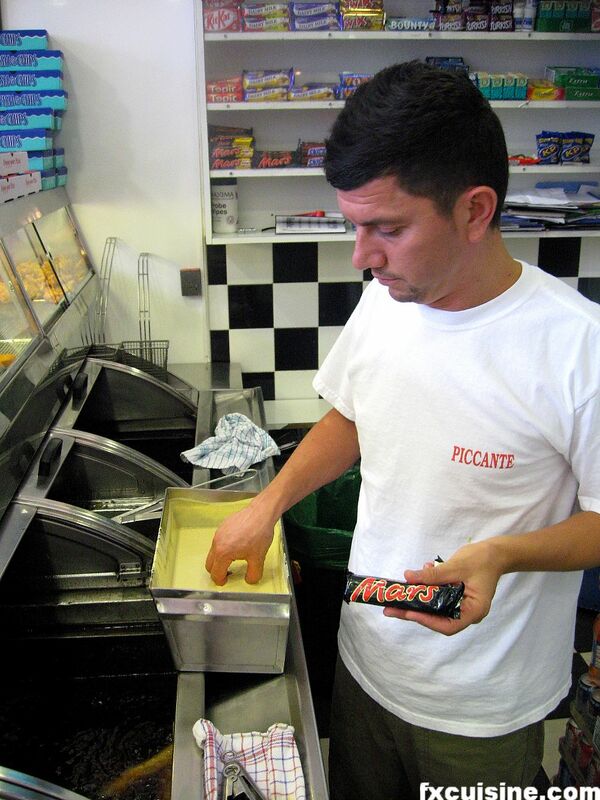 The owner of Fish-and-chips «Café Piccante» in Edinburgh let me into his kitchen while he made one. Selim tests the batter before dipping the Mars bar he freshly fished from the shelf behind him. One batter fits all - fish, chips and Mars bars. That's the secret for a really tasty deep-fried Mars bar. A generous coating of batter will help the candy bar soak up the frying oil needed to balance the snack's nutritional value. 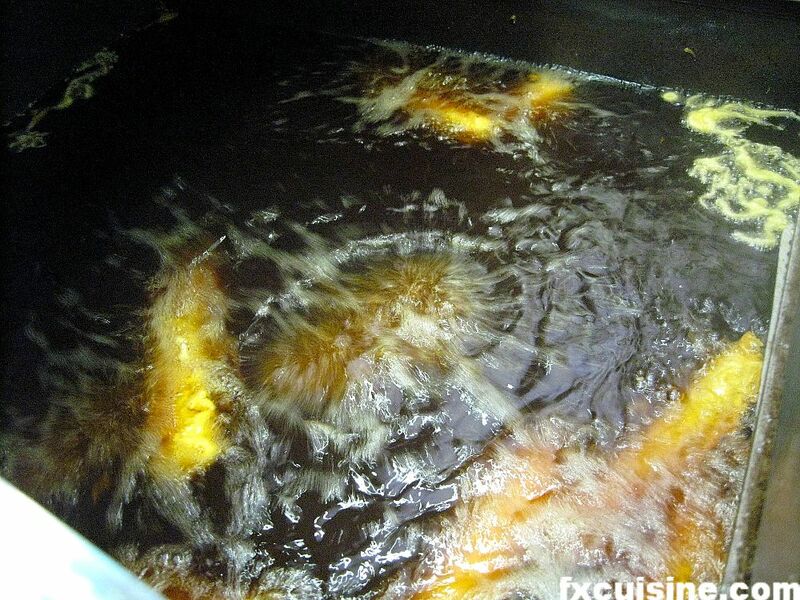 The candy bar is delicately immersed in a huge vat of boiling oil where it will swim with the fishes -and the chips.